Governor Vincent Aleppo is a former presidential candidate in 2008. In a commercial against him, Nosaf al-Mustafi is trying to give him negative criticism by announcing that he was in the same edition of New York Times as him and added a picture where they shared a milkshake. 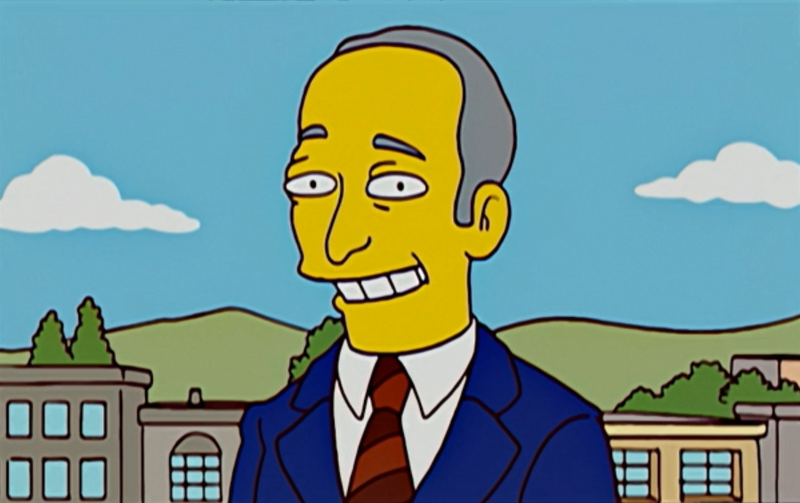 He later visited the Simpson house, along with fellow candidates Governor Huntingchurch, Senator Vane and Senator Whinergirl, when the Simpsons were undecided on who to vote for. He said "Terrorists win!" Modified on September 9, 2017, at 09:16.